WINTERS, TX — Tom Green County nabbed the man accused of the murder on Bailey St. again, thanks to help from the Runnels County Sheriff’s Office and the Winters Police Department. According to the Runnels County Sheriff, Gabriel James Ortiz, Sr. was arrested on a Tom Green County warrant in Winters Friday. Ortiz was charged with murder with the murder of 28-year-old San Angelo resident Ernesto Hernandez. The victim was found dead in the backyard of a residence in the 2000 block of Bailey St. in San Angelo on the afternoon of March 19. On Thursday, March 21, Ortiz posted a $250,000 bond and was released from the Tom Green County Jail. The new charges and warrant were issued by Tom Green County Justice of the Peace, Precinct 2, Judge J.P. McGuire. “The warrant indicated a charge of obstruction or retaliation, a 3rd degree felony bond was set at $250,000.00,” Runnels County Sheriff Carl L. Squyres stated. The Sheriff said Ortiz was located at a residence in the 300 block of Wood St. in Winters. RCSO deputies and Winters police officers went to the home and arrested him without incident, the sheriff stated. The sheriff said as of Saturday morning, March 23, Ortiz is being held in the Runnels County Jail in Ballinger. Only 250,000? I’d think it be 1,000,000 other punk got 2 million. This guy was crime of passion but if he’s going around storing up crap he needs to stay in jail or fruitloop house he has snapped? And ain’t coming back? Oritz's crime is not a crime of passion if the if the guy he shot was outside the house. He could of been just someone visiting and that is what makes it murder. Then whatever judge set the bond must be stupid for even allowing a bond. If they have enough money to make that bond then they have more somewhere else. In the murder of Chubby and Jared that might not of happened if they would of kept Dewayne Chadwick in jail a week or so before when he was there. Look up his record. He is one that is a revolving door in and out of jail for many years. I believe in giving 2nd and sometimes 3rd chances on minor charges but not after you have been in and out for years. When is it going to stop? If I were the parent of any of the 3 murdered they need to sue the County and the Judges setting these bonds. San Angelo is getting worse and the judge will slap there hands and say ok on a murder charge. The system here makes me sick. Recidivism patterns don't mean much, as evidenced with the fact that these types can spend half of a lifetime shitting all over the city, murder someone, and be out on the streets the following day. 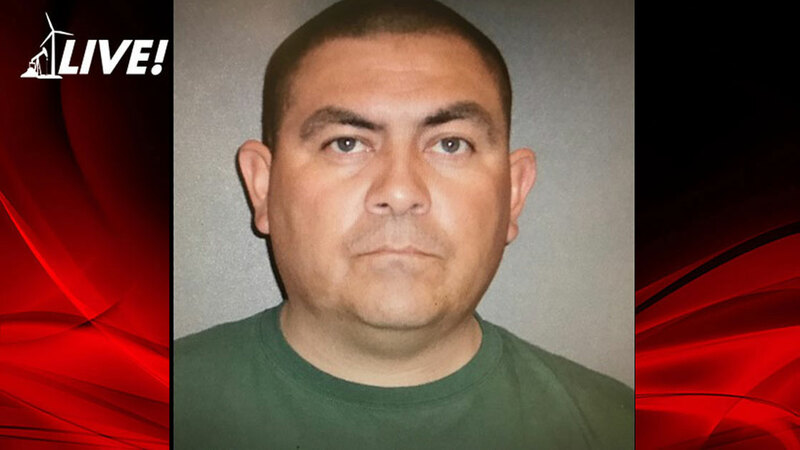 Ortiz wouldn't have had the chance to get arrested in Winters, had he slapped a woman's rear end or touched himself inappropriately, as he left the scene of the murder. Murderers are bad, bad people, but sexual deviants are just monsters. I totally agree with u. This whole thing is complete bull. Guess the $250K murder bond didn’t worry him, this one won’t either. I'm sorry but that Gabriel James Ortiz should never have been let out of jail. He murdered someone. It doesn't or shouldn't matter if that victim was having an affair with his wife. Murder is murder. He should be in jail serving a a jail sentence for murder. The system is corrupt & NOT working. Was probably more surprised when he slapped 250g down and walked. But really it’s none of my business. That is the system and the public safety people work and make adjustments within that system.